A home remodeling project is a major endeavor and quite disruptive to its occupants. Unlike a new home construction project you don’t simply swing by on the way home from work and take a quick peek at the day’s progress and then continue on to your comfortable living arrangements. Instead, with a home remodeling project, your family is subjected to 24/7 inconveniences, dirt, dust, and interruptions. In addition, kitchen and bathroom services may be less than optimum during the home remodeling construction. Consequently when embarking on a home remodeling project it is important to prepare very carefully and not leave any stones unturned while planning the project. A top notch home remodeling contractor can help prevent many of the pitfalls that can lead to a miserable experience during the home remodeling work, however, it is wise for you to take matters into your own hands and plan accordingly. 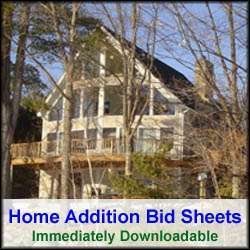 There is a fairly long list of items that you should absolutely consider and plan for before starting your home remodeling project. Summarized below is a list of these items. If your home remodeling plans include the kitchen or bathroom, make sure your contractor has plans for incorporating temporary kitchen and bathroom services for you. You shouldn’t have to move out of the home or go without basic kitchen and bathroom services. If the home remodeling contractor says you do, then find another contractor. 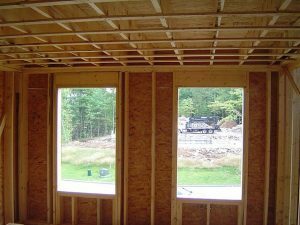 The last thing you want to have happen, after framing a home addition onto the side of your home, is to wait weeks for the windows to arrive on the job site to button up the addition, particularly if it is the middle of winter. Likewise, you don’t want to delay your kitchen remodeling project by having to wait for kitchen cabinets to be made. Make sure to identify long lead items well in advance and order them so they arrive on the jobsite just before you need them. If your home was built prior to 1979 there is a very good chance that it contains lead paint and/or asbestos in it. With any home remodeling project involving a home built before 1979 make sure that the home remodeling contractor is RRP certified. The RRP stands for Renovation, Repair and Painting. By federal law the contractor must be RRP certified. Lead paint and dust is extremely dangerous if ingested by humans. Also, asbestos can be found in flooring and pipe and duct work insulation material on older homes. Inhalation of asbestos can lead to lung cancer and other respiratory diseases. It is important that the asbestos and lead paint be taken care of by a licensed abatement company prior to the actual home remodeling work. Unless you are comfortable with contractors and subcontractors using your bathroom on a daily basis, make sure to include the cost of a portable toilet on the job site. Home remodeling projects generate a lot of trash, dust and dirt. Make sure to have a dumpster on the property during the home remodeling construction and make sure the contract states that the home remodeling contractor will clean and sweep the jobsite at the end of every day. A filthy jobsite is a harbinger for jobsite accidents. Dust is a major problem on a home remodeling project. Make sure you discuss with your contractor in advance on how the dust will be mitigated and contained from entering the rest of the home, e.g. via the use of plastic walls, fans, etc. Inevitably your driveway will be disturbed or damaged during the home remodeling. Heavy trucks can crush asphalt and cement edges and old trucks and vehicles often have oil leaks. Make sure you discuss with the contractor how the driveway will be protected or repaired at the end of the home remodeling project. Also, take a lot of BEFORE pictures for your records. In addition to your driveway being damaged or disturbed, likewise landscaping and shrubbery around the home is often damaged. Again take pictures before construction begins and make sure you discuss in advance with the home remodeling contractor how the landscaping will be protected or repaired. Often when building a home addition on to a home, the finished living space is too large for the home’s existing heating /air conditioning (HVAC) system. Consequently a new furnace or HVAC system is necessary. Make sure you talk with your home remodeling contractor about this concern and have a HVAC engineer come out and assess whether or not you will need to increase the size of your HVAC system. If at all possible, you may want to consider storing some of your furniture and other belongings in temporary storage to eliminate some of the clutter on the jobsite and to protect it from damage. It is imperative that you confirm that the home remodeling contractor has the proper contractor licenses for your state and has adequate liability insurance. Don’t take his word for it. Demand copies of the licenses and contact the state and insurance company to confirm he is in good standing and actually has insurance coverage. Make sure you include in the home remodeling contract when the contractor and sub-contractors will be on the job, including start and stop times and what days of the week. This way you’re not surprised when they are hammering nails at 6:30 in the morning. Make sure to discuss with your home remodeling contractor how the rest of the home that will not be undergoing renovations will be protected from damage, such as destroying the hardwood floors, nicking walls, and breaking items within the home. Subcontractors running in and out of the house can track in lots of dirt and mud, and the errant 2×4 can often find its way going through a wall during a home remodeling construction project. Make sure the home remodeling contract includes numerous milestones for payments based on work completed to your satisfaction. I repeat, to your satisfaction. Don’t accept any contract that requires a lot of money up front. Your only leverage for ensuring the work gets done to your satisfaction is the money you hold in your pocket. Once you give it up, don’t expect much in return for being nice. Sorry, it’s a cruel world. To conclude, a home remodeling project is a major endeavor and should not be jumped into lightly. It will disrupt your life for many weeks, and possibly a few months, depending upon the size of the home remodeling project. So be prepared for discomfort and some headaches. By addressing the items I mentioned in advance, however, you can mitigate much of the pain and discomfort.